Looking for DHgate vs Alibaba Review? I bet you are! When it comes to shopping online, it’s really fun adding all those eye-catching products to your cart. But for some people, who are new to buying products from suppliers, it’s not so easy finding a service that is cheaper and same time reliable. Most especially when you don’t stay in China. You could have a different definition of “cheaper” (depending on your budget) but when it comes to reliable, we all want that. In this DHgate vs Alibaba comparison, you’ll find out what’s better for USA orders and what’s better for worldwide orders. So if any of this sound like the question you’re asking? - DHgate vs Alibaba, which is better? Founded in 2004 by Diane Wang, DHgate is one of the world's leading online wholesale marketplace for goods made in China. Being one of the top 1,000 visited website in USA, China and Uk, DHgate helps connects international buyers with Chinese wholesale sellers who offer the same quality products found elsewhere at a discount price. DHgate which hosts over 30 million products including Apparel & Accessories, Computers & Networking, Consumer Electronics, Toys & Hobbies, Health & Beauty, Bags & Jewelry, Home, Auto... also provides escrow protection services, logistics services, international payment services, trust and safety, US-based product distribution warehouses, and internet financing services. To know more about DHgate, check out DHgate Wikipedia page. DHgate itself isn't a supplier, rather a platform where different suppliers are listed. So you should know that list consists of the good and probably not so good suppliers. Just before buying anything, you ought to do a bit of background search to ensure you are dealing with a reliable supplier. If you do your homework you are bound to find reliable suppliers in there for generic or non-brand name products. Launched in 1999, Alibaba is currently the leading platform for worldwide wholesale trade. This shouldn’t sound surprising to you if you know who the richest man in China is. Well, if you do, you may also want to know why Jack Ma decided to name the company Alibaba. How was the name Alibaba Founded? The company's name came from the character Ali Baba from the Arabian literature One Thousand and One Nights because of its universal appeal. One day I was in San Francisco in a coffee shop, and I was thinking Alibaba is a good name. And then a waitress came, and I said, "Do you know about Alibaba?" And she said yes. I said, "What do you know about? ", and she said, "Open Sesame". And I said, "Yes, this is the name!" Then I went on to the street and found 30 people and asked them, "Do you know Alibaba?" People from India, people from Germany, people from Tokyo and China … they all knew about Alibaba. Alibaba – open sesame. Alibaba is a kind, smart business person, and he helped the village. So … easy to spell, and globally known. Alibaba opens sesame for small- to medium-sized companies. We also registered the name "Alimama", in case someone wants to marry us! Starting buying from Alibaba is not so easy, how to find a reliable supplier and how to find best quality/price products, these questions could sometime get you dizzy. If you're new to Alibaba, this 14 Things You Need to Know before buying on Alibaba should help you get started. In this DHgate vs Alibaba comparison, you’ll find out what’s better for USA orders and what’s better for worldwide orders. When it comes to shopping online, one of the greatest fear of any buyer is being scammed. Issues of scam aren't new anymore, with a growing number of cases, one could say the figures may likely increase in years to come. So you have to learn how to avoid possible scams. A couple of ways is by you not bypassing Alibaba hoping to save money. You have to learn how to confirm that a supplier is a genuine manufacturer. Manufacturers are less likely to scam you than traders are. DHgate and Alibaba do not offer free shipping but you may get is a discount shipping fee. Depending on your location, delivery time may vary. DHgate supports multiple payment methods such as Visa, MasterCard, American Express, Skrill, /Bank Transfer, Diners, Discover, UnionPay, Maestro Card and other international means of payment. By partnering with an independent online payment platform (Alipay), Alibaba provides payment security to both buyers and suppliers. How Does Alibaba Secure Payment Work? Alibaba Secure Payment aims to provide a safe payment service for all parties to trade confidently. With Alibaba secure payment, your money is not released during the trade process until you have confirmed successful delivery of the order. Once confirmed, Alibaba will release payment to the supplier. All of your information will be safely encrypted. DHgate does offer free returns and exchanges. If the supplier does not ship your order on time or for any reason, if you don't receive it and it is determined to be the fault of the supplier, you will get your payment returned directly. Alibaba also supports partial refund and keeping products. If the products you receive are significantly different from the product requirements agreed on within the contract, you may choose to receive a partial refund and keep the products. Due to various reasons, the price of products on both platforms vary. If you’re ever asked by any supplier or seller to pay via Western Union (WU), it’s more likely that that seller isn’t legit and is a scammer. You should look for a genuine supplier instead. One of the greatest fear of people who buy and sell online is the fear of being scammed. A couple of ways is by you not bypassing Alibaba or DHgate, hoping to save money. You have to learn how to confirm that a supplier is a genuine manufacturer. 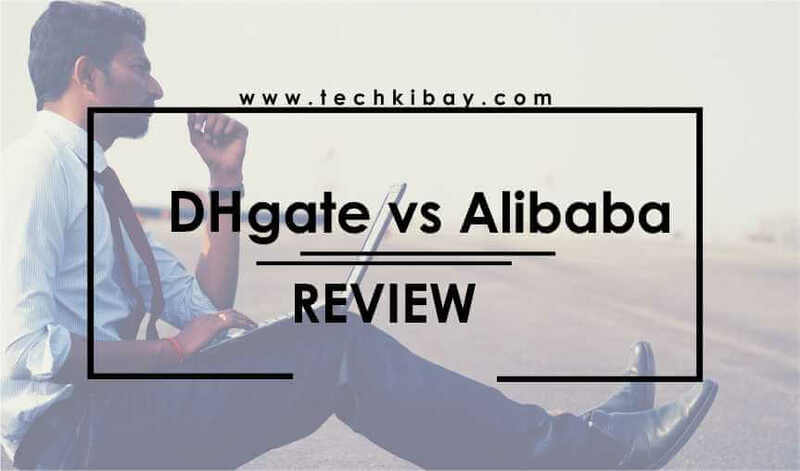 If there are some things you're not sure of and you noticed it wasn't covered in this comparison of DHgate vs Alibaba. Do ask them in the comment box below.